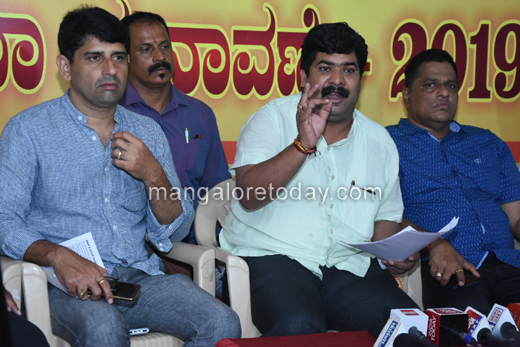 Mangaluru, Apr 05 2019: Mangaluru South MLA Vedavyas Kamath has alleged that the building at Bendoorwell where the Congress Election Office has been opened, did not have a completion certificate. Speaking to reporters on April 4, Thursday, Kamath said the building which was still under construction was owned by a wine and bar shop owner. He drew comparison between Congress President Rahul Gandhi and local MP and BJP candidate Nalin Kumar Kateel and said while the former brought just Rs 350 crores to his Amethi constituency, the latter has brought Rs 16,500 crores to his constituency. 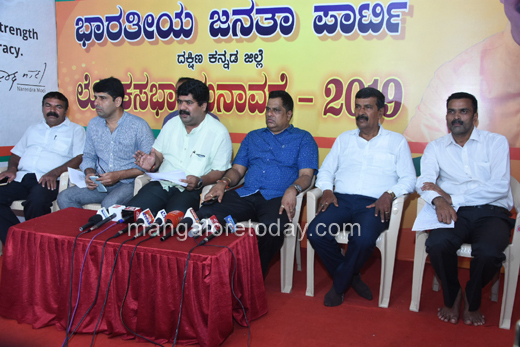 On the complaints regarding the Main Bhi Chowkidar stickers on vehicles, Kamath said there was nothing wrong in it as the stickers did not have any party name or symbol. NaMo Mane stickers were pasted six months back and it is the individual’s interest and not any party interest.